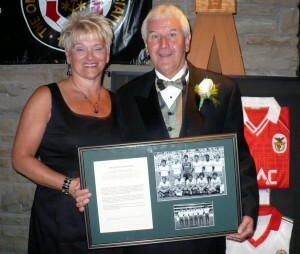 Les Wilson, with wife Lois and his latest Hall of Fame honour. Les Wilson has bolstered his already sky-high reputation in football on the other side of the Atlantic by being appointed as a governor to the Canadian FA’s Hall of Fame and Museum. The former Wolves utility man was inducted into the organisation last year and has this summer had the additional honour of the squad he led to the 1986 World Cup finals in Mexico being given Team of Distinction status there. “I’m obviously very thrilled to be asked to take on the role, which means I will be collecting and commemorating soccer heritage over here, then recording it,” Wilson said. “It’s a very worthy organisation which was founded in 1997 and has marked the deeds of a lot of the people who have made their mark on football in this country. “I was in Toronto last year for my induction ceremony and back there a few weeks ago for the Team of Distinction get-together, which involved being introduced to the crowd before one of Toronto FC’s home games. “I believe one of my portfolios could be overseeing the securing of corporate sponsorships and partnerships for the organisation, so that would be a challenge in the current market. Wilson, 62, was in the early years of his long stint as national manager when Canada qualified for the World Cup finals for the only time 23 years ago and, as another highlight of the many achievements he was responsible for with various national teams, he steered the side to the winning of the Confederation Gold Cup in 2000. Les Wilson (left), Fred Davies and John Holsgrove during Wolves' trip to Switzerland in 1966. 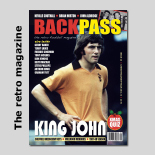 Having made 114 appearances while at Molineux from 1963 to 1971, he moved on to Bristol City and Norwich before playing for Vancouver Whitecaps from 1974-77. 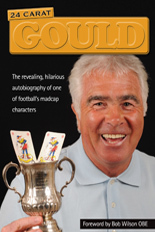 Although Manchester-born and therefore sharing his father’s love of all things Old Trafford, Les moved at the age of seven to Canada with his parents. Last year, he also received a recognition award from the Mayor of the city of Port Moody, the area of Vancouver in which he was brought up and in which he still lives. Posted on: Monday, July 20th, 2009.